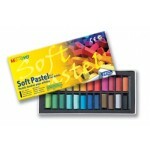 Soft Square Pastels (assorted) - 12pc - PASTELS, When used in conjunction with other media, offer many interesting possibilities for creative activity. Apply directly to paper and then blend by rubbing with a finger, paper stump or a stiff brush. 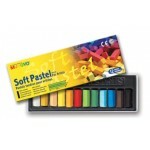 Pastels are ideal for exercises designed to develo..
Soft Square Pastels (assorted) - 24pc - PASTELS, When used in conjunction with other media, offer many interesting possibilities for creative activity. Apply directly to paper and then blend by rubbing with a finger, paper stump or a stiff brush. 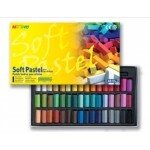 Pastels are ideal for exercises designed to develo..
Soft Square Pastels (assorted) - 48pc - PASTELS, When used in conjunction with other media, offer many interesting possibilities for creative activity. Apply directly to paper and then blend by rubbing with a finger, paper stump or a stiff brush. Pastels are ideal for exercises designed to develo..